The U.S. Tennis Association has unveiled plans to put a retractable roof over Arthur Ashe Stadium, home to the finals of the U.S. Open. 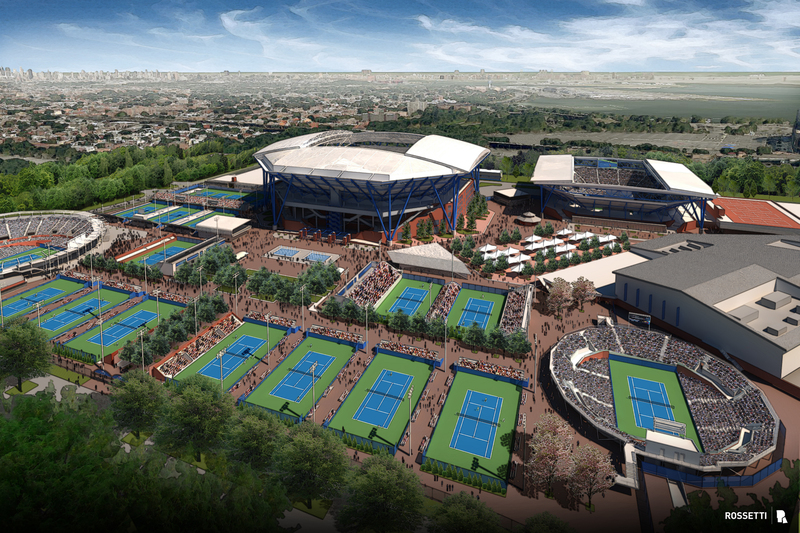 The roof, a project that has been considered for years after several finals were delayed by rain, will be the centerpiece of $550 million in enhancements to the USTA Billie Jean King National Tennis Center in Flushing, New York. The projects are expected to begin after the 2013 U.S. Open and the roof over Ashe Stadium is expected to be complete by 2017. The overall project will be complete by 2018, according to the USTA. Other improvements at the site will include two new stadiums—a new 8,000-seat Grandstand Stadium and a new 15,000-seat Louis Armstrong Stadium, which would also have a retractable roof. In addition, several outer courts will be relocated and a new viewing plaza will be constructed to allow visitors to watch activity on practice courts. When the roof is complete at Ashe Stadium, it will mark the third of four Grand Slam venues in tennis to have a retractable roof, joining Wimbledon and the Australian Open. 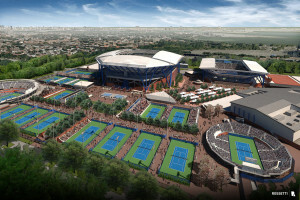 The expanded facilities will allow the USTA to accommodate an additional 10,000 spectators per day during the event, increasing overall attendance at the event by about 100,000 people.